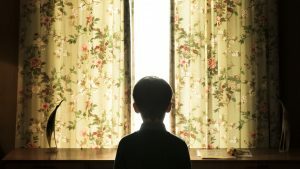 Irish filmmaker Lee Cronin’s feature debut The Hole In The Ground premiered at the renowned Sundance Film Festival in Park City, Utah over the weekend where it was met with overwhelmingly positive reactions from critics and audiences alike. Starring Seána Kerslake (A Date For Mad Mary), James Quinn Markey (Vikings), James Cosmo (T2 Trainspotting), Simone Kirby (Jimmy’s Hall), Steve Wall (An Klondike) and Kati Outinen (Le Havre), Cronin co-wrote the film with Stephen Shields. The Sundance Film Festival is the largest independent film festival in the US. Many notable independent filmmakers have received their big break there including Quentin Tarantino, Paul Thomas Anderson and Steven Soderbergh. The festival is also responsible for bringing wider attention to such films as The Blair Witch Project, Little Miss Sunshine, Whiplash, Boyhood, Hereditary and Get Out. The festival attracts some of Hollywood’s biggest names, rising stars and change-makers with Zac Efron, Michelle Williams, Julianne Moore, Jason Momoa, Naomi Watts, Gerard Butler, Jon Hamm, Annette Bening and Adam Driver being some of the famous names attending this years festival. The Hole In The Ground follows Sarah O’Neill (Seána Kerslake) who is trying to escape her broken past by building a new life on the fringes of a backwood rural town with her young son Chris (James Quinn Markey). A terrifying encounter with a mysterious neighbour shatters her fragile security, throwing Sarah into a spiralling nightmare of paranoia and mistrust, as she tries to uncover if the disturbing changes in her little boy are connected to an ominous sinkhole buried deep in the forest that borders their home. The film shot on location in Dublin, Kildare and Wicklow and was produced by Conor Barry and John Keville for Savage Productions with Benoit Roland and Ulla Simonen for Wrong Men and MADE. The film was funded by Screen Ireland, the BAI and Headgear Films with support coming from Wallimages and the Finnish Film Foundation. Wildcard Distribution will be releasing the film in Irish cinemas from Friday 1st March.